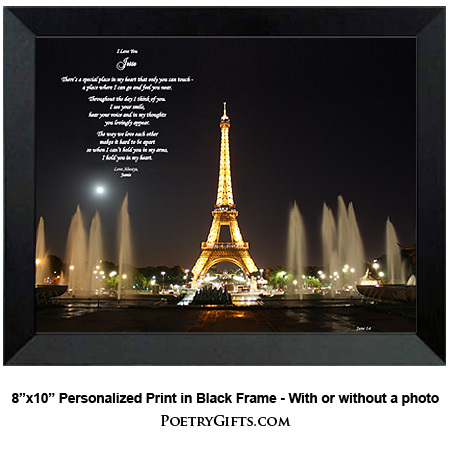 Paris - The Eiffel Tower - Lights...What a romantic background for this heartfelt love poem for a wife, husband, boyfriend or girlfriend. 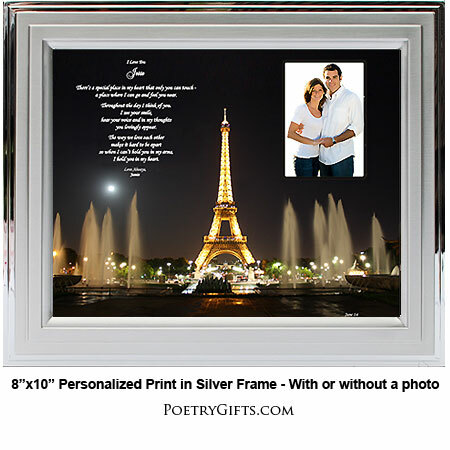 This Exclusive Poetry Gift is a perfect birthday or anniversary gift for your spouse or special someone. 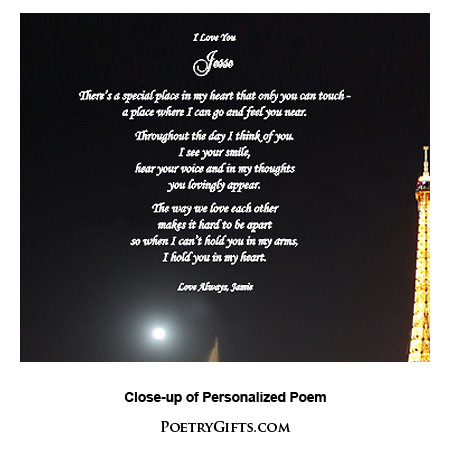 When this romantic Poetry Gift is personalized with names, a special occasion date, and a loving message from you, it becomes a personal keepsake to treasure. Add a favorite photo in the cut-out area and you have a real Winner! 3. 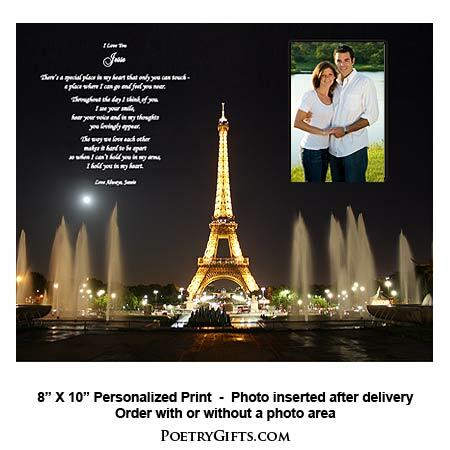 Closing Phrase and Your Name (as seen after poem) - (Examples: Love Always, Jennifer; Forever Yours, Ian; etc.)"